Join us for the first-ever film screening in Santa Fe of a shortened, one-act version of Richard Wagner’s magnificent magnum opus Ring of the Nibelungs. The creative team of Japanese composer Hirofumi Misawa and German librettist Matthias von Stegmann reimagined Wagner’s four-opera, 15-hour epic into a compact, humor-filled, and highly entertaining mini-opera evoking gods, demi-gods, and a hero of old German and Nordic tales. Performed by stars of the Vienna Opera House and members of the Vienna Philharmonic Orchestra, this is a perfect introduction to Wagner’s richly textured Ring cycle for the curious novice as well as the experienced opera fan. 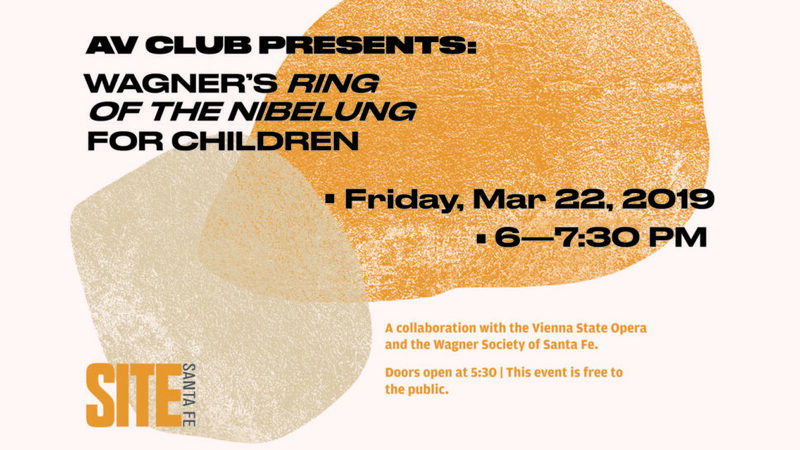 A collaboration with the Vienna State Opera and the Wagner Society of Santa Fe. This event is free! Doors open at 5:30 PM. Image courtesy of the Vienna State Opera. Join us for a Toast to Patrick and the Opening of our pop-up exhibition of portraits from the Downtown Club archive! Return to Pat’s Downtown Club for a closing cocktail and birthday cake as we celebrate Patrick’s 80th!